For 11 years, the Wales Millennium Centre has prided itself on being the pinnacle of culture in Cardiff. It has housed some of the finest and most grandiose musicals and productions, ever striving to push the boundaries of what a theatre can be. This year sees the Centre take a monumental step in its history; its first in-house production. 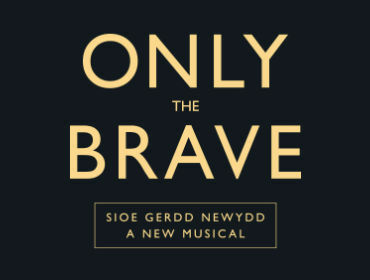 Only The Brave is a new musical written by Rachel Wagstaff with music by Matthew Brind and lyrics by Steve Marmion (who also directs). 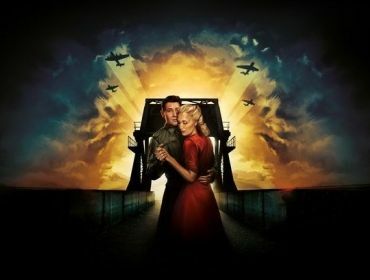 Set in 1944, in both Britain and Normandy, Only The Brave tells the story of Captain John Howard and his men as they prepare for and carry out a dangerous mission behind enemy lines that holds the key to success for the D-Day Landings, the women they love back in Britain, and a young French girl working in a cafe near Benouville Bridge who wants to make a difference by joining the French Resistance. The score to the piece is wonderful with some truly memorable and emotional songs. Highlights include Tell Him Yourself, What the Hell Am I Doing?, and Regret And Sympathy. The strongest parts of the piece are the male ensemble numbers, which bring to the fore the sense of comradery and brotherhood. This not only reflects the experiences of the men off whom the musical is inspired, but also that of the actors, who share a common goal of paying tribute to the men who gave up their lives for our freedom. The women of the piece also deserve high praise as they deliver some of the more emotional heart-wrenching numbers including Montmartre a Minuit Avec Maman and When I Close My Eyes. It's not all doom and gloom, with the creative team knowing how to bring lightness to the piece. Cuppa Tea and Toy Soldiers serve to remind audiences that even in times of war, we never stop being human and never stop seeking the freedom to live, laugh and love with our friends and family. The set in many senses is a character in itself, adding not only a cold and regimented air to the stage but also allowing many different locations to be portrayed simultaneously. The piece effectively makes use of projections for backdrops to transport us from location to location, and not only are they useful, they're also incredibly beautiful. Iron staircases and containers glide across the stage, our characters travelling seamlessly. Save for a few technical hiccups (muted microphones) and the occasional ill-thought through line, Only The Brave is sure to serve the interests of the WMC well. Will the production find its way to the West End? Only time will tell, but I'm sure those left crying in their seats will wish Only The Brave a long and healthy life. Got views? Love typing? Fill in theSprout Satisfaction Survey! You must be logged in to post comments on this website. Bookmark/Share – What is this? New to social networking? Check out the FAQs and Safety Info first. Please take a few minutes to complete this survey. 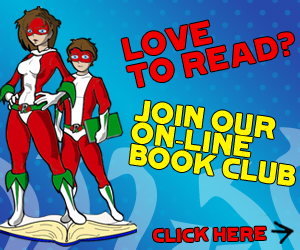 It will help us find out how you use the website so we can keep improving it for you. Everyone who completes the survey will get the chance to win £50.